This version of SILENT HILL is more akin to the video game horror series that inspired it. An improvement. To develop a better version that was more akin to the video game horror series that inspired it. Yeah, kind of a “no duh” idea – frankly, this character had absolutely no purpose in the film to begin with, so he’s gone (just like in the other SH edits). Only included the ‘Flashback’ sequence that Rose sees when she enters the Red God’s Room (and even that has several edits and cuts to it). Any other flashback not related to this sequence is removed from the film. Tried to make the Allessa character a much more ambiguous figure than she was in the original film. Made the cult/townspeople and their actions against Allessa/Sharon much more ambiguous and less judgemental (they are no longer strictly ‘evil’). In the film, it’s never really specified who this character is, except it calls itself the ‘dark part’ of Allessa and seems to have a Devil undertone (which isn’t that clever of an idea, in my opinion). 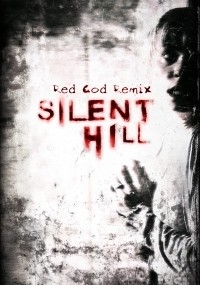 In the games, one of the things I liked in the series mythology was the idea that there were various “gods” that existed in the land of Silent Hill, where their purpose was to lead the people faith to the true God. In this version of the story, this character is now one of those gods. The voice of this character/creature has been dubbed/altered so that when it speaks there are several different voices merging as one (that idea came from another game “Shadow of the Colossus”, where the God’s voice had several different people speaking together as one). The film now ends without Rose & Sharon returning back to Christopher and their home (no ‘land of ghosts’ ending).